A 2 million sq. 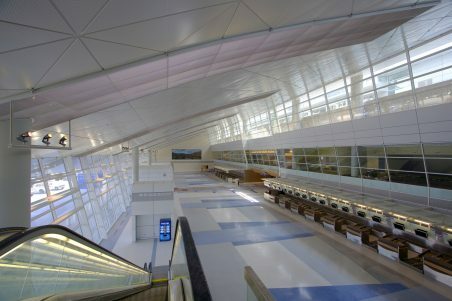 ft. terminal on 6 levels, with 23 international gates, an FIS facility, a roof-supported Automated People Mover system connecting to all other terminals, and 100,000 sq. ft. of interior multi-level retail space. 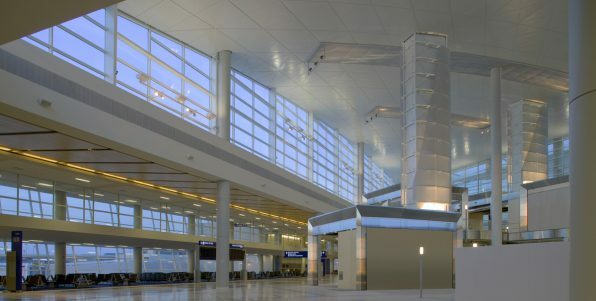 International Terminal D is the 5th terminal to be constructed at DFW International Airport. 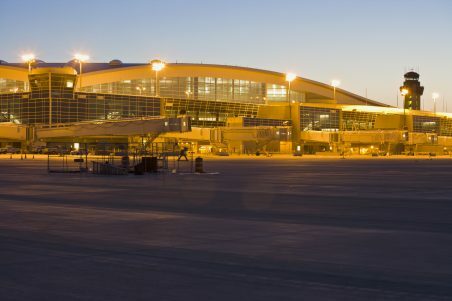 The project was built using nearly 12,500 tons of steel. 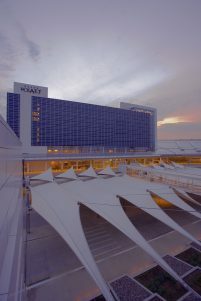 Significant structural elements include a 45-foot cantilevered canopy, an 800-foot-long, six-span sky bridge, nearly four hundred feet of pedestrian bridges, a 3.1 million square foot post-tensioned parking structure, and an elevated, inter-terminal people mover. 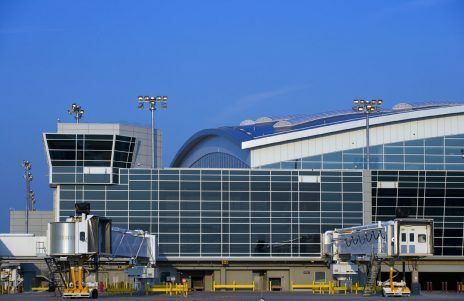 Notice to proceed on the project was granted June 2000, and a drilled pier package was issued that November, a full 18 months before architectural drawings were to be completed. To complicate the project, terrorism prevention measures were incorporated in the days after 9/11. 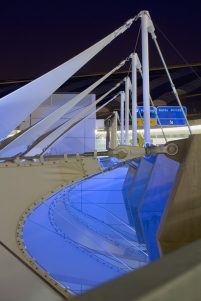 Features such as blast walls, steel jacketed columns, upsizing of framing for blast pressure resistance, and the addition of bottom flange beam bracing to improve ductility, were all added. 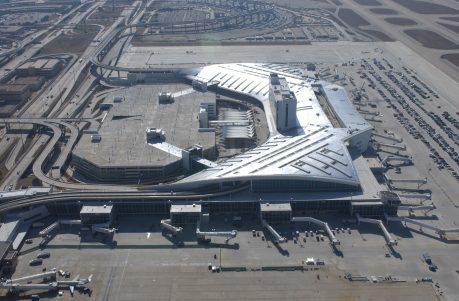 Terminal D sets itself apart by changing from the traditional DFW horseshoe shape to one stretched outward, further distinguishing this terminal from the other four.